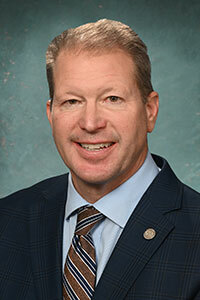 LANSING, Mich. — After listening to the governor’s 2019 State of the State address Tuesday night, Energy and Technology Committee Chairman Sen. Dan Lauwers, R-Brockway Township, issued the following statement. “Senate Republicans have passed balanced budgets ahead of schedule for seven consecutive years, contributing to Michigan’s dynamic turnaround and increasing the quality of life for workers, job creators and ordinary residents alike. “Under this new administration, we must be sure we live within our means, continue to pay down debt, lower auto insurance rates, build sustainable roads and infrastructure, and focus on education and career readiness. “The 2019 legislative priorities should be on measures to assist families, to strengthen the talent pool and to increase job opportunities.